Our daily life revolves around computers, laptops and of course Smart phones. We have to have access to the latest technology otherwise we will always be left behind. We spend many hours sitting on our PC’s and laptops doing our routine work whether in office or at home. To make life easier, Windows have made certain easy going essential apps which are simply amazing. Spending hours on the gadgets can affect your health so, these Windows Apps actually work wonders in taking care of your health. But it becomes really difficult to select that which app is the best for you due to infinite options available online. So, here we are providing you a list of top 12 essential Windows apps that will actually make your life simpler and easy going. So, write from maintaining your daily chores record to video calling your friends, Windows is providing every essential amenity to make your life as simple as possible. Get updated with the latest technology and download the apps now. Skype is one of the most popular Windows Apps created by Microsoft Windows. Skype is used for instant messaging, video calls and voice calls and that up to 25 participants. All type of communication is totally free. 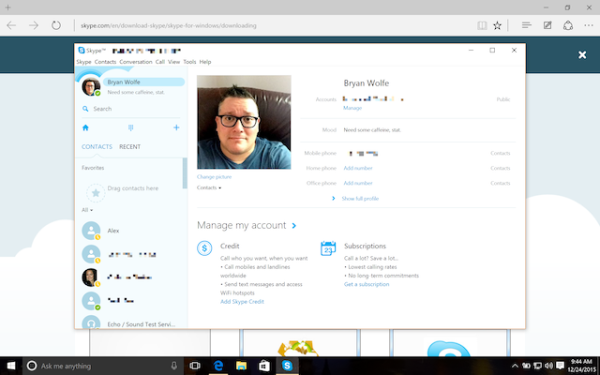 Skype can be downloaded in your PC’s, laptops and Smartphone. Another feature available in this app is voice calling on mobiles and landlines as well. You just need to get a monthly credit subscription done and you are sorted. Skype is the best app for conference call. This Windows Apps is the best essential. Working on computer and laptops can in turn ruin your eyesight, so in order to prevent that to happen; F.lux app makes the color of your computer screen adjust according to the time zone. The screen mode shifts to daylight mode when there is light and then in the night shift mode in case of darkness. This feature will not put any strain on your eyes and you can easily work on your PC day and night. You just need to make a command that what kind of light mode you want and the app automatically adjusts the brightness of your screen. Wunderlist is basically a task management cloud application created by Microsoft in 2015 and was then redesigned for Windows 10. This app is very essential Windows Apps as one can make a record of your certain lists like to-do-list and other tasks. The app works with other task manager apps as well. The app is beautiful and interesting as it provides different themes and backgrounds for your documents. The app is available both for your desktop as well as Smartphone. PDF is one of the greatest apps that Windows has created till now. PDF has actually made a normal man’s life very easy going as one can view and create files anytime anywhere. 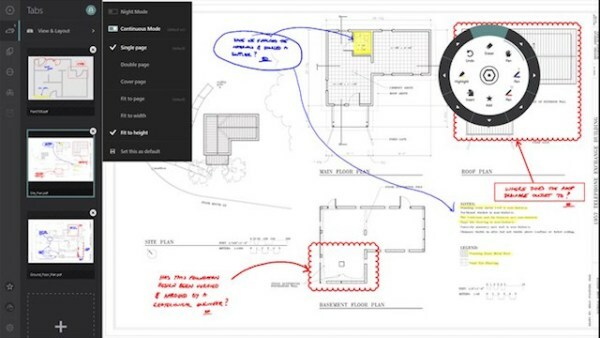 Now PDF has introduced another app called Drawboard PDF which lets you read and create free form markups. Tired of creating regular files on PDF, this app will make feel fresh as you can mark and draw anything on this app. This Windows Apps is quite simple to understand and will definitely make your life simpler. 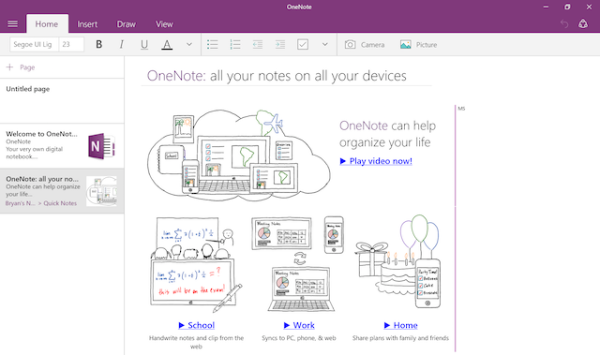 Microsoft One Note is one essential Windows Apps created by Windows where you can make your notes whether handwritten or typed. Notes may comprise of graphs, drawings, clippings and even an audio recording. The app data can be synced with other apps which is quite an easy going task. Windows is improvising the app with every passing day. Download the app for free for your desktop on Windows store. Sticky Notes are usually used to make you remind your things to do. We normally paste these notes on refrigerator or notice boards. 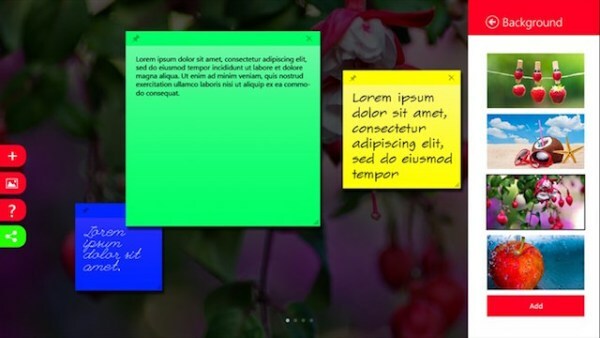 Sticky Notes Pro app created by Windows is exactly the same thing except that the notes are maintained in your smart gadget not the refrigerator. You can choose your note color on which you want to save your file. Download this Windows Apps from Windows Store. 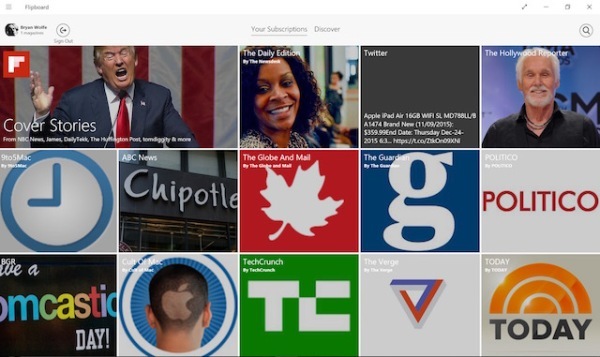 Flipboard is an essential app where you can get all type of information whether its news, fashion or anything else. No need to search individually for particular news, just download the Windows Apps on your PC or Smartphone and you are sorted. Navigating any kind of information is just a click away. Download it today. 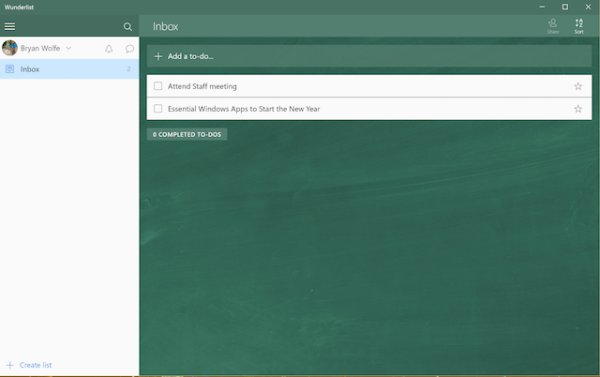 If you are bored of seeing the same old desktop screen every day, then this app is perfect for you to make deserted desktop wear a classic look. 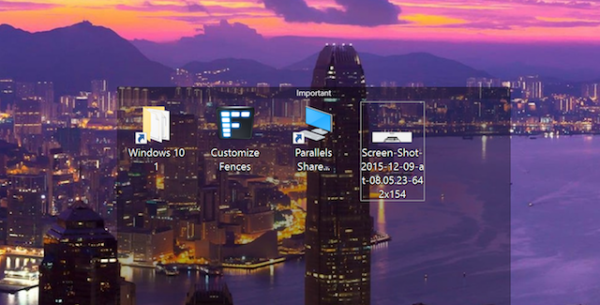 Stardock Fences helps you to separate your app icons and make shaded groups of your files. You can also swipe in between multiple pages and then double click to hide or show an icon. You can change your background theme and color, so download it now for your desktop. This app helps you get updated with the latest news and trends going around the world. 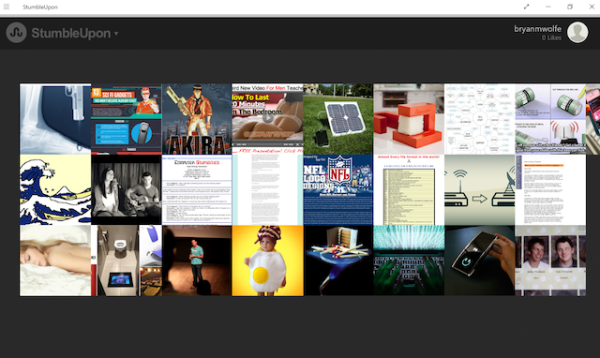 You can watch or search anything like videos, photos and web pages. Apart from that this app created by Windows even allows you to give your ratings and liking for the photos and videos which is just amazing. This Windows Apps is for the music lovers. You can listen to your favorite tunes online anytime anywhere. 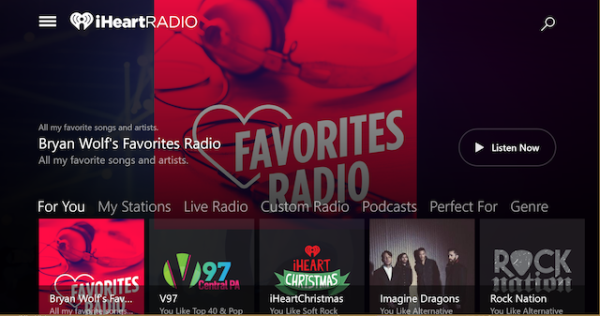 You even have the access with the various broadcasts and custom radio stations which is just amazing. You can create a playlist of your own and add to it all your favorite songs. It can be downloaded at your desktop and Smartphone. So, to enjoy the this amazing windows apps, download it now from Windows Store. If you need accurate predictions regarding your city and the places around the world, then The Weather Channel app offered by Windows is the best. This windows apps gives you all necessary information required in a weather forecast along with videos, news, maps and alerts. So, all in all it is the one stop solution for the best weather forecast. You can download it from the Windows Store. This is the best entertainment windows apps that Windows could ever create. 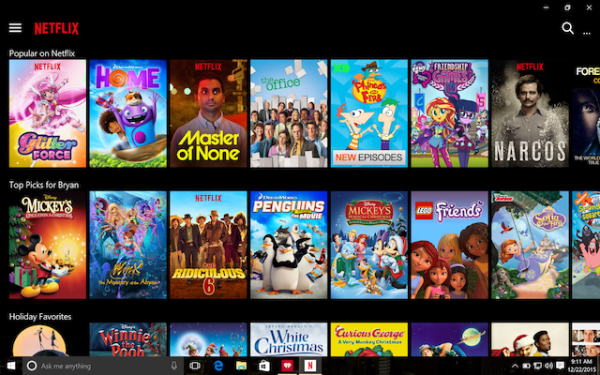 Available for Windows 10, this Windows Apps makes it very easy to search for your favorite movies and TV shows. It is available on multiple platforms so you can enjoy movies and TV shows online anytime anywhere. 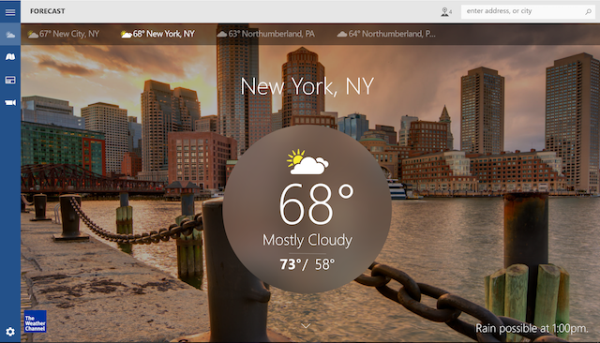 So, these are the top 12 essential windows apps that will actually make your life sorted. Do check them out and download your favorite ones.